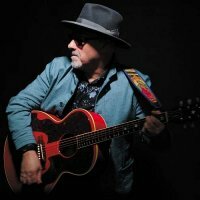 One of the most apt names for an album is surely Paul Carrack's 2008 collection, "I Know That Name", because he is one of those people who frequently pops up in session work, as well as the long list of solo works recorded since 1980. Of course, he made a name for himself as the lead singer in Ace on the hit "How Long?" in the mid-70s, as well as singing on a handful of Mike and the Mechanics hits in the 80s and 90s ("The Living Years" and "Over My Shoulder" being two of them). Highly revered throughout rock, he has also appeared as a session-musician on tracks by Squeeze (as a guest vocalist on "Tempted"), The Pretenders, Roger Waters and, er, The Smiths. He has recently re-released an extended version of "I Know That Name", complete with new and extra tracks, but is also putting a new album together for release later in the year, hence the announcement of a new tour. But first, news of an upcoming charity concert taking place in Manchester. In aid of Help 4 Heroes, Carrack and his band will headline a gala event at the Palace Theatre, also featuring Vidur Kapur, on 25th August - tickets are still available for £27.25 upwards plus fees. Back to his tour which starts in Northampton on 24th October and runs until 8th December at Dorking's Halls - this leg was announced earlier and tickets are still available for around £27.50. But now further concerts for 2011 have just been added, starting in Salford on 12th Jan and continuing to Stoke, Nottingham, Dartford, Barnstaple and many more until 8th March (yes, March) at the Cambridge Corn Exchange. The price for this leg is also around £27.50.